Three potential development partners are going through to the next stage as Rotherham Council continues its selection process for realising the vision for Forge Island. Demolition work, site preparation and further flood alleviation work is taking place around the major regeneration catalyst project in the town centre masterplan. New hoardings are also in place. Having sent out over 35 development packs to interested parties during stage one of the process, three bidders have now been asked to make detailed submissions. 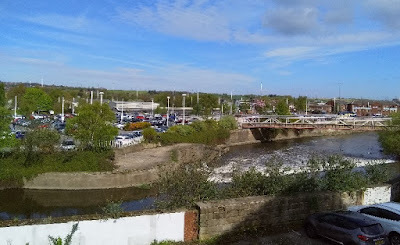 Proposals are coming forward for around 2.73 hectares of land with the council indicating mixed leisure / retail use on Forge Island, office or residential use on the law courts site and mixed residential and retail use on its riverside sites on Corporation Street. The project has been given a total value of £60m+. Dan Watson, investment & economic initiatives manager at Rotherham Council, said: "The scheme has to be high quality and different, offering an alternative to going to similar places like Centretainment or Meadowhall [in Sheffield]. "We only really get one shot at this. It is generational and Forge Island will be the catalyst for the rest of the town centre. "We are at stage two now and have three bidders. The aim is to appoint a development partner by September following interviews and evaluation. The next step is the planning application which could take six to seven months. "The aim is to start on site by the end of 2019 and flood mitigation proposals are being developed. We are looking at doing that before development on Forge Island." In the interim, the site of the former Tesco store is now home to a temporary bus station whilst work takes place on a £11.5m upgrade to the current interchange. The existing car park on Forge Island remains open. Damien Wilson, strategic director of Regeneration and Environment at Rotherham Council, said: "The pace of the regeneration in the town centre is unlike anything I've seen and I've worked in areas up and down the country. "The masterplan has been adopted, we've made acquisitions, demolished buildings, funding has been secured for projects such as the University Centre Rotherham and the bus interchange, housing sites are being brought to market. "In two years, that's massive." 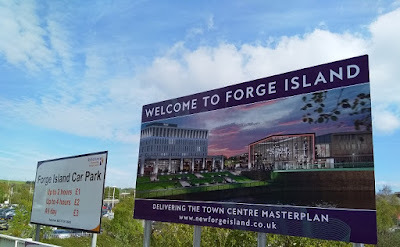 Wilson also added that one of the three bidders for Forge Island had been encouraged to submit their interest following a meeting at the recent MIPIM event in Cannes. Further meetings at the high profile property event has led to two parties expressing an interest in the Bassingthorpe housing development were Rotherham Council is working with the other landowner to attract commercial partners to help bring forward 2,400 dwellings and 11 hectares for employment use. The update was provided at the latest meeting of the Rotherham Pioneers, the exclusive group for Rotherham businesses who want to promote the town, celebrate all that is good, and grow the Rotherham business community. This guy is a clown , Other local town and city have undergone massive changes with New shopping , leisure and retail developments whilst our centre has been neglected , True we have 4 New leisure centre's but you can't compare them to The dome at Doncaster, The metro in Barnsley and of course ponds forge in Sheffield, He's yet another person kidding the public on, The refurbishment of the bus station is a joke and a waste of money I though the concete was crumbling and steel insde rotting ? Take a look at Barnsley and Donny bus interchanges and you will see what I mean , Finally, It's going to be 2 or 3 years before any of the proposed developments comes to fruition and even if and when it gets done we will still be miles behind our local neighbours IMO. I have to agree with all of the above comments, Rotherham has always seemed to be a backwater when it comes to anything new. The cinemas were originally supposed to be 11 screen, the last I read that was down 5 screens by the time it’s built it will have gone down to a twin screen, & in my opinion a cinema/hotel etc is not the answer to turn things around ! The bus station should of been flattened as well as adjacent delapadated shops and offices on effingham square, the whole site should of been redeveloped into something similar to the Frenchgate centre in Doncaster. As for the comments about pace of development, this has to be a joke, how long ago was Rotherham rennasaunce & what happened to that ? The people in charge at the council should hang their heads in shame, they have ruined the town ! Any chance of any commenters being positive for a change? I'm excited by what a revamped Forge Island will do for the town. Agree with above comment,was originally 11 screens,now 5? ?Joke,Barnsley is well under way with construction of a 12 screen and Bowling bars and restraunts,theyll be enjoying themselves in.there's when were still talking about it .Rotherham isa joke,run.like a small parish council not a major town of 260000+anda central are of 125000,Barnsley is far smaller,yet asa council with ambition! Anybody who's been brave enough recently to have a walk through Rotherham will realise how much we have been left behind in terms of quality shopping options,bars, restaurant's and entertainment. The area is liable to flooding and chucking 60 million at it doesn't buy you a lot these days. Its a sad demise over many years and would require a much larger budget, over a 5 year period of constant big investment possibly North of 300 million. A nice token gesture though but not enough i,m afraid that's if it does happen on time and on budget which given the likes of Renaissance it doesn't fill you with optimism.